We use Cloudflare for our service and we use it to have server switchover or failover in case our main server go down, and it been working perfectly ever since! Wouldn’t it be perfect to have a DNS failover, saving costs by avoiding a hardware and also reduce risk of having main load balancer go down? It is possible to have DNS Load balancing by having two IP Addresses point to same record A, but we go for it in another article. In this article we will cover how to have CloudFlare perform automatic IP failover for your servers, so in case main server go down, backup server kick in. Please note for this to work seamlessly, you need your backup server be exactly same as main server. You can achieve this by having MySQL replicated and file system synced using lsyncd. You can also have your backup server show a temporarily message. You will need to run monit server in your backup server, ideally you can run monit on a separate server which only have monit server on it. You can get a simple and budget friendly vps linux cloud server from vpsdime and have it check status of your main server. Let’s cut it short and get to instructions! Please get your API key from Cloudflare. You can get it from Account tab in cloudflare. Cloudflare is free! and then upload configured files there. if failed icmp type echo count 3 with timeout 3 seconds for 2 cycles then exec "/bin/bash -c /hitsteps/cloudflare/tobackup.sh"
else if succeeded for 2 cycles then exec "/bin/bash -c /hitsteps/cloudflare/tomain.sh"
if failed url http://0.0.0.0/ with timeout 20 seconds and retry 2 for 2 cycles then exec "/bin/bash -c /hitsteps/cloudflare/tobackup.sh"
#else if succeeded for 2 cycles then exec "/bin/bash -c /hitsteps/cloudflare/tomain.sh"
Guess what? It is all ready! You’ve just setup an auto IP Fail Over using Cloudflare. Now, monit will check status of your main server by pinging it, if ping failed for 3 times on 3 cycles, then it will fire tobackup.sh file, same will happen if it cannot access webserver for 2 times. Once server is accessible, it will run tomain.sh. tobackup.sh will connect to cloudflare API and change your domain IP addresses to backup server. this change usually apply in less than 1 minute by our experience. monit will keep monitor your main server status and change IP back once it is accessible again. Do you have any suggestion to enhance this script? or any feedback? Please do let us know! We’ve been hearing that SSD hard disks are new generation and therefor, all database intensive servers have to move to new SSD servers. We gave it a shot and we never regret it! In hitsteps, we analyze thousands of hits per seconds. this hits then categorized and processed by a background processor, and archived somewhere along with millions of other hits! Given searching a visitor or looking back into archive of a visitor is an essential feature of hitsteps, we always had to struggle with performance of database searches, specially when searching for some visitors who visited months ago. HDD server took 45 seconds to return query (almost near to timeout in most apache web server setups). SSD server took only 6 seconds to return query. Going to page number 2 in HDD took 15 seconds, in SSD just a wee 2 seconds. It worth mentioning all other simple queries take less than 0.2 seconds in SSD servers and 0.5 in HDD servers. Please do note that this times are closed source and relative to our script and codes. It might be different with other Applications, codes and scripts you might use in your server. 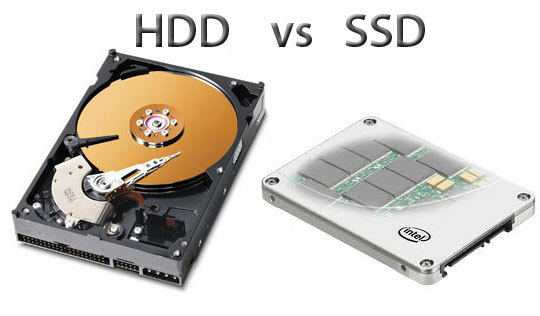 RAM also play a major role here which is more appearance if your server is using HDD.